Can Mediation take root in autocratic and feudal cultures? Many countries today are in the process of institutionalizing mediation within their Judicial systems and, increasingly, businesses the world over see the value of mediation as an effective tool for settling commercial disputes. However, despite the proliferation of Mediation programs internationally, we must ask ourselves whether it is only the promise of cheap and easy settlement (rather than the values that it represents) that makes mediation attractive. What, anyway, are the values that underpin mediation as a process and why are they important? What conditions are necessary for them to take root and thrive? Is there something about mediation that makes it a better fit in liberal, secular, democratic societies? Can autocratic and feudal societies accept mediation with all its assumptions about individual autonomy, collaboration, equality and the importance of moving away from power based thinking? Or will such societies use mediation as a convenient tool to cobble quick commercial agreements, settle civil disputes cheaply and deescalate tensions without challenging systemic injustices and existing power structures? Most importantly, should this matter to us in the mediation community? Ashok is a conflict resolution professional who has extensive international experience in India and South Asia; the USA and parts of Europe; and the Middle East. 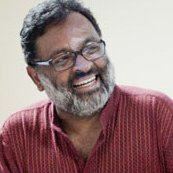 He is the founder of Meta-Culture, a pioneering organization in Bangalore, India that helps communities and organizations improve their higher order thinking and relationship-building capabilities. Prior to this he served as a Director of Training and Workplace Mediation with an conflict resolution center in Cambridge, Massachusetts. He has conducted hundreds of workshops in communication, conflict resolution, critical thinking, and cross-cultural engagement. He has also successfully mediated disputes at every level- among Board members, between staff and management and at the community. Ashok has designed and facilitated a pioneering, multi–year, multi–stakeholder dialogue in the garment and apparel sector in India called the Garment Sector Roundtable (GSR) which gave rise to two spin off projects, the Joint Fact–Finding Commission on Labor Attrition, and the Women’s Supervisory Training Program. He also initiated and facilitated the Inter-Faith Meta-Dialogues a multi-year community dialogues between Hindus and Christians, and Hindus and Muslims. These were designed to build relationships and address contentious issues between influential members of religious communities in the city of Bangalore, India. Additionally, he is the founder of the Public Intelligence Project, an advocacy and education initiative to explore ways to better manage diversity through promoting participatory democracy, dialogue, critical thinking, and freedom of expression. Some of the project’s grassroots democracy efforts include Socrates’ Last Stand, a series of community conversations and the Alternative Futures Dialogue, a 7-month program for citizen leaders. Meta–Culture was the 2010 recipient of the Outstanding Leadership Award of the International Committee of the Association for Conflict Resolution (ACR). Ashok is also actively involved in the global conflict resolution and peace-building community. He was a member of the board of the New England Association of Conflict Resolution (NE–ACR) from 2004–2005 and a member of the Board of Directors, Mediators Beyond Borders International (MBBI) from 2010–2012. He is also a member of the Consensus Building Institute’s Global Facilitator's Network (Boston) and the Access Facility for Community, Business Conflict Resolution, World Legal Forum in The Hague, Netherlands.